Do you have any fun back to school traditions? We've had one tradition that gets done on the first day of school, no matter what! I always take a picture of each child and then a group photo at the door as they head out or get ready to stay in for school. I say that because my older girls went to private schools through 5th grade. After that, they were homeschooled. 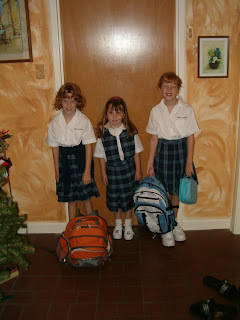 So we took the picture by the door as they left for school or as they stayed in for school. I dug up a few photos from my digital files from various years. I LOVE looking back at how much they have changed over the years. Time really flies. 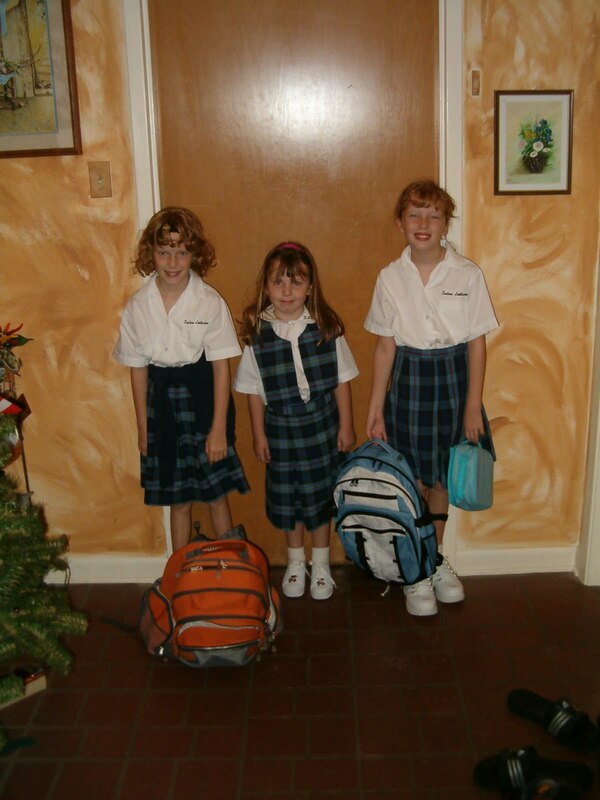 The oldest girls are now Juniors in high school taking college classes and the youngest is in 8th grade. Have you finished all your Back To School shopping? One of my stops will be at Tiny Print to check out all they are offering for my back-to-school shopping. Guess what you will find? 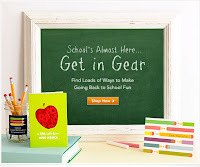 You'll have a fun assortment of personalized items such as lunch box notes, allergy cards, play date cards, teacher stationery, Halloween ideas, teacher appreciation cards, activity planners, wall art for dorms, notebooks, notepads and MORE! So what are your back to school traditions? How do you make back to school, fun and exciting?? Thanks to Tiny Prints and Global Influence for sponsoring this post. I'm a customer of Tiny Prints and anything stated about this is from my own experience and my own tasty opinion. Doing the WILD Wednesday Hop! Cute pics. They grow up so fast, don't they! I think I want to take a picture of the girls holding a sign that says "First Day of School." I am a new follower from the Wild Wednesday Hop. I always take a photo on the first day of school and the last day of school. I also try and take a photo at the bus stop for the elementary age child--wouldn't be cool to show up for the middle or high school bus stop. Thanks all for stopping in! I'm visiting each of you!